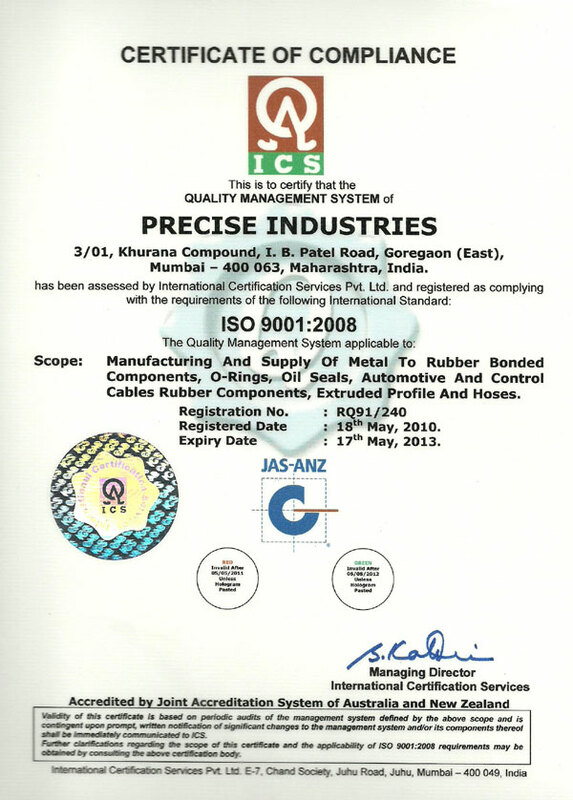 Precise Industries are amongst the leading manufacturers of rubber products in India. And for some very good reasons. Take our large, comprehensive range, for example. It covers virtually every products, besides offering numerous varieties of speciality polymers as well. Take quality. Precise Industries products are manufactured, to the most stringent standards in the industry. Not surprisingly, Precise Industries products come packed with powerful features and quality that’s second to none. Today, Precise Industries products are being extensively used in industries as diverse as Oil & Refineries, Chemicals, Textiles, Automobiles, Pharmaceuticals, Foundry, Paper & Packaging, Shipping, etc. Quality is the core competency of our organization hence; we are committed in offering a quality range of rubber sheets and allied products. For maintaining high standards of quality, we have developed a separate quality control unit. 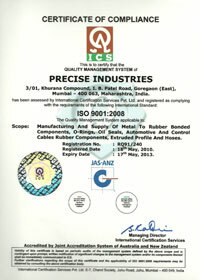 This entire system work in adherence to ISO norms even though we have not been ISO certified yet. We have employed a dexterous team who ensures the quality of our products by testing them on various parameters.